Chris has written a book. It’s ok. He’ll come back to screenwriting. It’s an experimental thing. Nothing to get freaked out about. Take a look at the ‘blurb. Maybe it’s your thing. Or not. It’s cool. Secrets. It all started while looking for secret passages. Chloe Tozier’s impulsive twin, Zoe, insisted that all old mansions had them. Grandma denied the existence of any here. Except for the boarded-up service elevator that she conveniently forgot to mention before the girls discovered it, the elevator that didn’t seem to go anywhere. They had been living in this private museum with their grandparents since the death of their parents during an archaeology trip to Egypt. Mysteries. Why have a museum in a tiny town in the middle of Kansas when what’s on display is nothing unusual? Sometimes packages arrived wrapped in plain brown paper that the girls never saw again. Grandpa disappeared overnight and they haven’t heard from him since. And before going to Egypt their parents had mentioned something about a mysterious mosaic. Maybe Zoe was right about family secrets. Maybe it was time to dig further. Simon Cathcart (writer and director of the wonderfully campy StagKnight has a new book out. Wheel of An Hero – How to make the most genius film by mistake. Felix James had been living in an underground, airtight cell, in total isolation, for twenty five years. And all Max Gutman needed was $25 million to finance his feature film. But Max had to prove he could do it. Maybe shooting his first short film in a care home for people with severe learning difficulties wasn’t such a great idea. Until he met Felix James. Felix James had a rare terminal illness. Felix also had an idea for a show. A show that could easily make $25 million. Journey to centre of the world’s first crowdfunded suicide machine as it rips through California taking out waitresses, cage fighters, hookers, journalists, gardeners, fundamentalists and hundreds more all playing this astounding game of monumental idiot savagery. Film is the only art form which requires a lot of money to make it. A musician only needs an instrument, a painter paint, said Orson Welles. Having made films himself this subject was an obvious piece for Simon James Cathcart to reflect upon. Raising millions for any venture is not an easy task, ever. Today, the film industry has stalled in a state of sad confusion. It wrestles with the rise of the internet, remaining at all odds with it; rather than joining it. Media is now everywhere and everyone a walking filmmaker. Entertainment is now abundant – time short. Combine this with the advent of crowd-funding. Wheel of An Hero enabled me to push the hidden pressures a director suffers from and a film crew in motion while the wheels are coming off.It enabled me to explore the archetypal situations, characters and places I’d been in with the possibilities of being over funded, coupled with the relentless demands of a largely desensitized youth market watching live and I was able to take it to levels I’d never even anticipated. 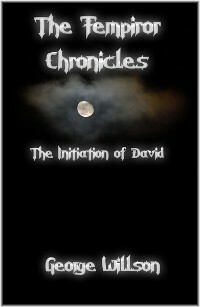 Read the first chapter on WattPad or buy the book on Amazon. 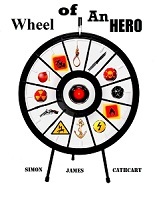 Permalink | Comments Off on Wheel of An Hero – How to make the most genius film by mistake. Some of you may remember Jason Henderson. 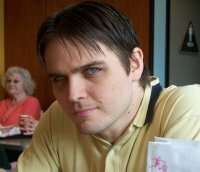 He was on SimplyScripts Radio last year. The second in his Alex Van Helsing series comes out today. Jason is hosting Castle Dracula Podcast tonight at 10:30 pm edt. It is a panel show on vampires, vampire movies, and anything cool in the horror genre. With “Alex Van Helsing” and “Sword of Dracula” author Jason Henderson, “Halloween Man” creator Drew Edwards, “Psy-comm” and “Clockwerx” manga creator Tony Salvaggio, and token female Julia Guzman, attorney. Entries (RSS) and Comments (RSS) | 69 queries. 0.218 seconds.